Easily add intelligent image and video analysis to your applications. Amazon Rekognition makes it easy to add visual analysis features to your application with easy to use APIs that don't require any machine learning expertise. The service is continually trained on new data to expand its ability to recognize objects, scenes, and activities to improve its ability to accurately recognize. Amazon Rekognition provides consistent response times regardless of the volume of requests you make. Your application latency remains consistent, even as your request volume increases to tens of millions of requests. You can run real-time analysis on video from Amazon Kinesis Video Streams, analyze images as they are uploaded to Amazon S3. For large jobs, use AWS Batch to analyze thousands of images or videos. 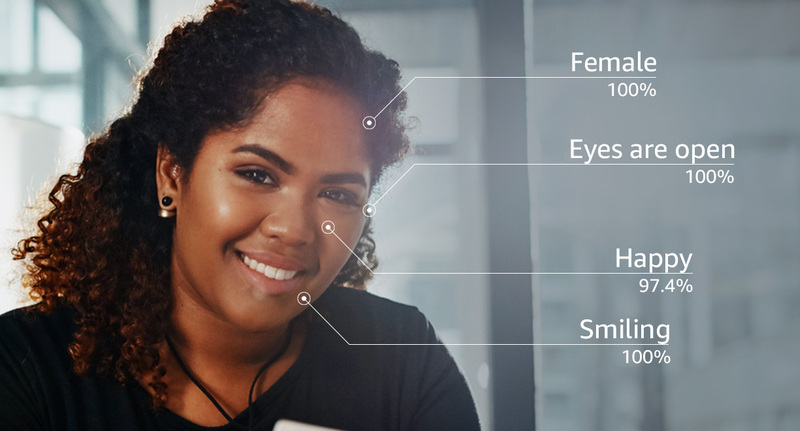 With Amazon Rekognition, you only pay for the number of images, or minutes of video, you analyze and the face data you store for facial recognition. There are no minimum fees or upfront commitments. You can easily integrate face-based user verification into new or existing applications. 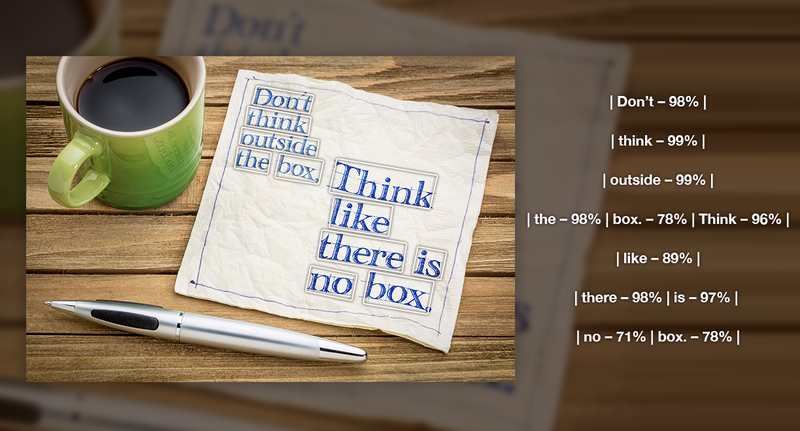 This is a simple process that requires the use of just one API. With Amazon Rekognition, you can identify thousands of objects (e.g. bike, telephone, building) and scenes (e.g. parking lot, beach, city). When analyzing video, you can also identify specific activities happening in the frame, such as "delivering a package" or "playing soccer". 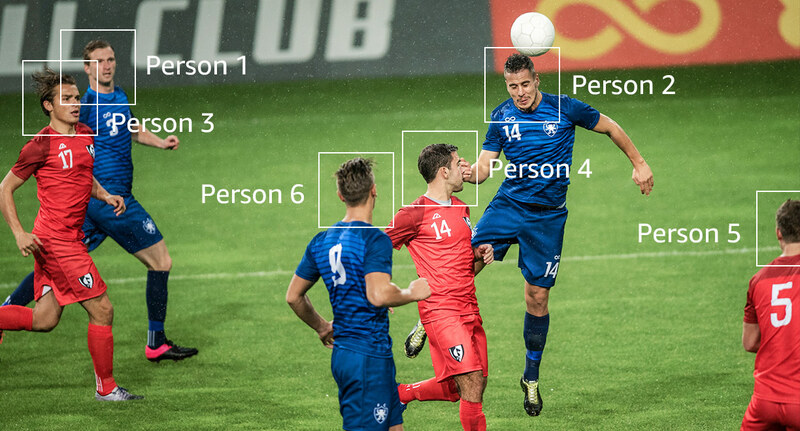 Rekognition’s fast and accurate search capability allows you to identify a person in a photo or video using your private repository of face images. You can analyze the attributes of faces in images and videos you provide to determine things like happiness, age range, eyes open, glasses, facial hair, etc. In video, you can also measure how these things change over time, such as constructing a timeline of the emotions of an actor. You can capture the path of people in the scene when using Amazon Rekognition with video files. For example, you can use the movement of athletes during a game to identify plays for post-game analysis. 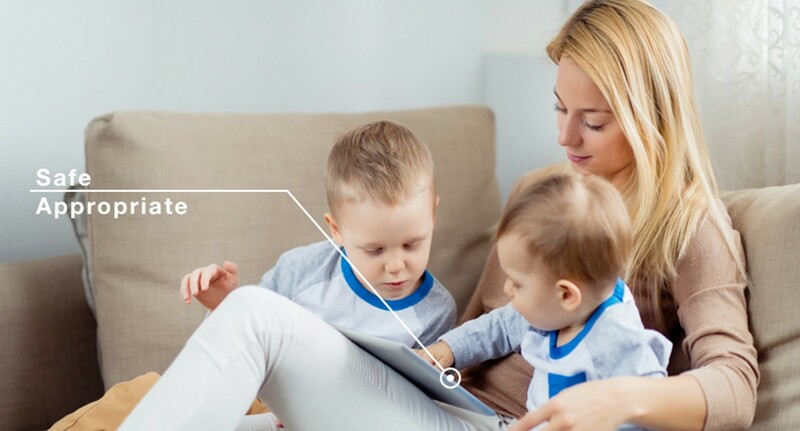 Amazon Rekognition helps you identify potentially unsafe or inappropriate content across both image and video assets and provides you with detailed labels that allow you to accurately control what you want to allow based on your needs. 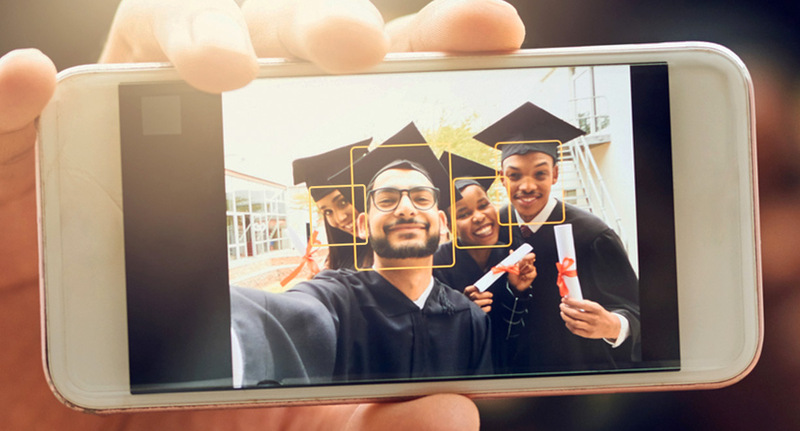 You can quickly identify well known people in your video and image libraries to catalog footage and photos for marketing, advertising, and media industry use cases. Specifically built to work with real world images, Rekognition can detect and recognize text from images, such as street names, captions, product names, and license plates. Amazon Rekognition Video allows you to create applications that help find missing persons in social media video content. By recognizing their faces against a database of missing persons that you provide, you can accurately flag matches and speed up a rescue operation. Amazon Rekognition Video automatically generates metadata from uploaded videos so you can create a search index for names of celebrities and their time of appearance. You can keep the index current by using AWS Lambda functions to automatically add new video labels to the search index when a new video is uploaded in Amazon S3. Then you can use this index with Amazon Elastic Search Service to quickly locate video content. Amazon Rekognition Video allows organizations managing user-generated content, such as social media or dating apps, to automatically detect explicit or suggestive content in videos and create their own rules around what is appropriate for the culture and demographics of their users. With Amazon Rekognition, your applications can confirm user identities by comparing their live image with a reference image. Amazon Rekognition can detect emotions like happy, sad, or surprised from facial images. 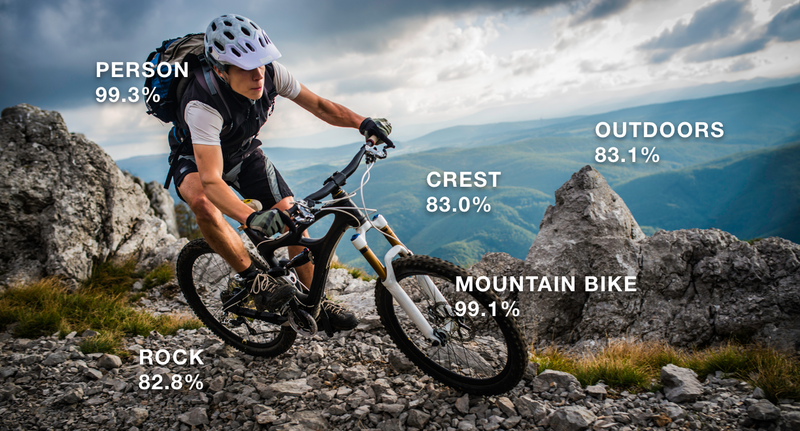 Rekognition can analyze live images, and send the emotion attributes to Redshift for periodic reporting on trends for each store location. 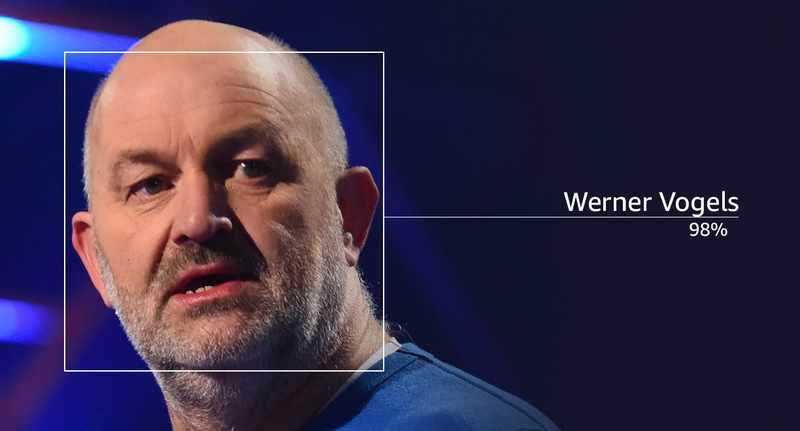 Amazon Rekognition makes it easy to search your image collection for similar faces by storing face metadata, using the IndexFaces API function. You can then use the SearchFaces function to return high confidence matches. A face collection is an index of faces, that you own and manage. Amazon Rekognition's RecognizeCelebrities API uses neural network-based models to allow you to search photo libraries to automatically identify thousands of individuals who are famous, noteworthy, or prominent in their field with high scale and high accuracy. You can then send the celebrity’s name, id, and image id, into an Amazon Elasticsearch search index to make the images searchable for celebrities.